Discover the best of our Morocco Excursions and live an exceptional enjoyment; you can always have an exciting adventure while in an amazing pearl like Morocco. Memphis tours offer a wide variety of Morocco day tours from any location in Morocco to explore its stunning sights and best attractions. You can always choose between the best tours that we offer like the comprehensive selection of Casablanca day trips, Fez day trips to explore the secrets of the enchanting cities of Morocco, Marrakesh day trips where you can find a wide array of things to do to enjoy the best of Marrakech, and Agadir day trips. Don’t miss the excitement and adventure; explore and book your tour now with Memphis tours! Rabat day tours and excursions offer a comprehensive selection of Rabat day trips to discover the enchanting city. Book Now! Tangier day tours and excursions offer a comprehensive selection of Tangier day trips to explore the vibrant city. Book your tour Now with Memphis Tours! 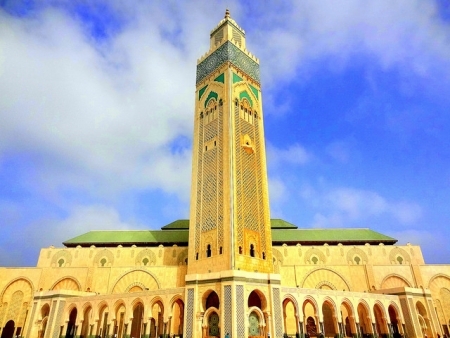 Casablanca day tours and excursions. we offer a comprehensive selection of Casablanca day trips. Memphis Tours offers Fez Day Trips to explore the secrets of the enchanting cities of Morocco. Marrakech Day Trips. Find a wide array of things to do in Marrakech to enjoy the best of Marrakech. 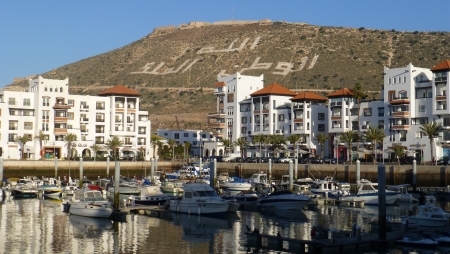 Agadir Day Trips with Memphis Tours can make your Tours from Agadir more enjoyable and special. 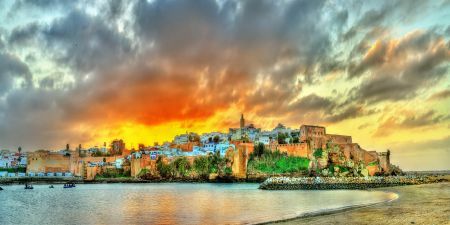 Why book Morocco Travel Packages with Memphis Tours ? There are a lot of motivations to book your tour with Memphis Tours. Our organization has been in the business of tailor-made tours since 1955 and pride ourselves on utilizing this experience to make reliably high caliber, customized tour encounters. Our business stretches out all through the Emirates and the Middle East so we are able to provide a level high of service anywhere you would like to travel in Dubai and beyond. Is there a discount for booking my tour far in advance? Memphis Tours is upbeat to offer an "Early Bird" discount for customers who pay the full expense of their tour ahead of time. If full payment is received six months prior to the date of your arrival, a reduction of the quoted cost of your trip will be granted to you by 5%. "Early Bird" rates require full, non-refundable prepayment. Discounted tours are not eligible for date changes or refunds. Is there a special rate or offer for private groups booking with Memphis Tours? Indeed, Memphis Tours provides discounts for private tours that are booked with large groups. For group tours of ten people or more, there will be a discount according to the nature and length of the whole trip. For groups of fifteen people or more, the total amount of the tour will be reduced by the full cost for only one person in the group. How can I contact Memphis Tours to book a tour? Memphis Tours operators are available 24/7 to receive your booking inquiries via different ways of communication such as email, telephone, or live online chat. You can also submit a request form on the website describing the details for the trip you want to take, its duration, and any other details you can provide and you will receive a reply promptly with a proposal from one of our representatives. Our toll free number, email, and a link to our chat service can be found at the bottom of our website’s homepage. Also, you can submit a booking request form here. How will being a solo traveler affect the price of my tour? Our website offers two quotations, one named Single and the other named Solo. The prices for “Single” quoted for single person accommodations assume that the person would still be traveling with a group. The price includes the cost of private accommodations in hotels, but does not include other expenses necessary for a solo tour. The prices of Solo traveler are also quoted on our website. The Solo traveler would be responsible for any extra fees for guides, transportation, etc. and as a result the price would be higher. For more information about the prices of solo tours, please check our prices on the website, or enquire with us by email, telephone, or live online chat. What are the steps that I need to take to book a tour and confirm my reservation? We make it very simple for our clients. All you have to do is contact our representatives via one of the ways of communication listed above in question 4. You will then receive a response with the available options to choose from and then you can tailor-make a tour that will suit your needs in terms of budget, duration, and points of interest with the help of one of our travel consultants. Once a plan has been decided, Memphis Tours will send you a detailed itinerary that includes all necessary information and plans for your trip. At this point, you will have to confirm your reservation by paying a deposit. Your reservation will not be confirmed until deposit payment is received by Memphis Tours. The balance of payment will be due on arrival to begin your tour. How much should i pay as a deposit? How will I pay it? The deposit required is usually 25% of the total price of the tour, except during peak travel times like Christmas and New Years, when the deposit will have to be 50% of the total price. You can pay the deposit for your tour using a credit card (Visa and Mastercard are accepted) or a bank order directly to Memphis Tours. Our representatives will be willing to provide any additional information or support you need to complete your payment. If paying the deposit in one transaction is not possible, please contact Memphis Tours to inquire about the possibility of making the payment in installments. Is there any surcharge on transactions that can be done using a debit or credit card? Memphis Tours does not charge any additional fees or surcharges on any transactions that are done using debit or credit card. We accept Visa and Mastercard. Will I receive a refund If I am forced to cancel my trip with Memphis Tours? Memphis Tours refund policy is detailed in our Terms and Conditions. The amount refunded depends on how far in advance we are notified about your cancellation. - We grant you a full refund for any amount you have paid in advance in case of weather conditions or circumstances otherwise outside of your control that might prevent the ship from coming into port in case of booking a Shore Excursion from a cruise ship with Memphis Tours for example. Is Morocco a safe country to visit? Morocco has been a safe tourist destination for years. Moroccan people have gained their reputation for warmth and kindness towards visitors. Moroccan cities are generally very safe, especially in touristic areas where tourists are frequently there. Morocco is a very well secured country, where Police is in every location and so many checking points are available, this is what makes Morocco a safe and 100% secured destination. Is Morocco considered a safe destination in comparison to other countries in the world? Morocco has a very low crime rate in comparison to other countries of the world. If travelers take sensible precautions, they will surely be safe. How can I obtain my visa to visit Morocco? Can I extend the period of my tourist visa beyond its expiration? It is possible to extend a tourist, Applying for an extension should be done no later than 15 days after entering the country. This process can be time-consuming and frustrating. Extension can be done from the nearest local/Main Police station and you have to give an application in writing a letter with attested, stamped from province, copies of your passport, along with pictures and reason for your extension. You will be allowed extension within a week, and before you departure you need to report to the same police station so that they can inform the airport authorities and when you leave Morocco it will be absolutely normal and fine. Can I combine my visit to Morocco with another country? Tourists visiting Morocco sometimes visit other countries in the Middle East or North Africa in the same trip. Memphis Tours offers tourism services in Egypt, Jordan, Turkey, Dubai and Oman which you can research on our website. Can I bring a personal supply of cigarettes and alcohol with me when I am visiting Morocco? It is always recommended for travelers who wish to have their own supply of cigarettes and alcohol with them in Morocco to purchase them upon arrival. There are duty free shops in the airports in Casablanca, Marrakech, Agadir, Fez, Tangier and Rabat. It is allowed for tourists to purchase up to three liters of alcohol and up to 200 cigarettes on arrival. Do Moroccans speak languages other than Arabic? English and French are studied in school all over Morocco. This is why most Moroccans, who live in the cities, speak or understand at least some English words or phrases, and most of Moroccans are speaking French well. Fewer Moroccans can speak Italian, Spanish, and German; however, professionals in the tourism sector are accustomed to visitors who cannot speak Arabic. They speak enough English and many other languages to fulfill the needs of most travelers. Do I have to learn Arabic in order to enjoy my visit to Morocco? Many travelers enjoy their stay in Morocco without learning a single word of Arabic; however, it is always good to learn a few Arabic words to expressing greetings or thanks. It is advisable to learn some basic Arabic terms if you are planning to visit some unpopular tourist destinations. Moroccans are friendly and will be happy to help you anytime, even if there is a language barrier. What are the opening hours for monuments and historical sites in Morocco? Most of the monuments, historical sites, and museums in Morocco open from 9 AM until 6 PM. During Ramadan, the holy month of the Islamic calendar, be aware that these hours will change significantly. What are the opening hours for shops and different stores in Morocco? Most of the shops in Morocco open from around 10 AM and stay open until 10 PM; however, many shops, cafes, and restaurants especially in main cities like Marrakech, Casablanca, Fez, Agadir, and Rabat stay open much later and some facilities and shops are open 24 hours a day in touristic areas. During the holy month Ramadan, the opening hours may vary significantly. You may find some shops closed during the middle of the day and reopen later till midnight or after. Is it allowed for non-Muslims to enter historical mosques in Morocco? Non-Muslims are generally welcome to visit mosques in Morocco. Tourists are more than welcome to visit most mosques at any time expect when they are being used for prayer, on Friday and during the five prayers of the day. Is there any special dress code to be followed during visiting a mosque in Morocco? There aren’t really special clothes to be put on while visiting a mosque in Morocco; however, modest dress would be highly recommended and in some mosques, it`s better for women to cover their hair and perhaps their arms and legs. Both women and men will be asked to remove their shoes before entering a mosque. What are the most important historical mosques in Morocco? Morocco features a large number of remarkable and historical mosques. The most notable among them are Hassan II Mosque in Casablanca, Koutoubia Mosque in Marrakech, Bab Berdieyinne in Meknes, Bou Inania Madrasa in Fez, Mosque of Mulai Idris in Fez, Tangier Grand Mosque and Sidi Bou Habib Mosque in Tangier. Tourists are welcome in all of these mosques on any day, except Friday. Are tourists allowed to enter the Christian monuments in Morocco? In Morocco churches are treated the same as mosques. Most churches and monasteries welcome tourists and foreigners, except during Lent. Modest dress is also advisable while visiting Christian places in Morocco. Can I take photographs of the people, streets, etc. in Morocco? Moroccans are well known all over the world for their tolerance and hospitality; however, it is always polite to ask permission before taking a photograph of people, especially women, and stores or products. Photography is prohibited around army bases, airports, dams, and bridges. If you happen to be in a place where photography is prohibited, you will sure find signs to notify you. What is the check-in and check-out time in the hotels in Morocco? The same as many hotels all around the globe, the check-in time in most hotels in Morocco is around midday, 12 or 1 PM. In case you arrived in the hotel late at night or in the early morning, you may have to pay for an extra night to get to your room immediately, to avoid waiting until the normal check-in time. What different types of hotels are there in hotels in Morocco? Accommodations for travelers in Morocco fall across a broad range—everything from world class luxury to simple hostel accommodations are available. The nicest hotels compare well with luxury hotels anywhere, coming from international hotel chains like Movenpick, Hilton, Four Seasons, and Sofitel. A step down from these is a variety of local hotels that ranges from luxurious to simple. Moroccans hotels have their own rating system that loosely classifies them on a 5-star scale; however, this scale is different from international standards used elsewhere. Are there any health issues that I should worry about in Morocco? Tourists might face few health problems in Morocco like some gastric disturbance caused by drinking tap water or eating from a local restaurant which was not recommended by their tour guides or the receptionist of the hotel. Some travelers might suffer sunburn or heat stroke from the heat and sun during the summer if they are not careful; however, taking the proper precautions and drinking bottled water can eliminate any health risks. Are there certain vaccinations to be taken before traveling to Morocco? There are no obligatory vaccinations that should be taken before being granted with the visa of Morocco. However, it would be recommended for the senior people and for young children to take vaccinations against Hepatitis C, Typhoid, and an oral dosage of Tetanus. What is the official currency in Morocco? The currency of Morocco is The Moroccan Dirham (MAD). The currency for Morocco was issued by the Bank of Al-Maghrib which is Morocco’s central bank. Historically, the Moroccan Dirham originates from the Byzantine Empire’s Drachm, and was used in Arabia and the Levant in pre-Islamic times. The name “Dirham” came from the Roman word “denarius”. Will I be able to exchange dollars, Euros, or other currencies in Morocco? There are a large number of banks and exchange offices that can change cash and travelers’ checks in Morocco. Many shops, restaurants, and bars that deal with tourists will accept dollars or Euros at rates that are relatively close to the official ones. Make sure you know the current exchange rate of dollars or Euros to Moroccan Dirham (MAD). How common is the use of credit cards in Morocco? Credit cards are widely used in Morocco in hotels, many shops, restaurants, and cafes. Most stores in markets accept credit cards. The most common types of credit cards used in Morocco are Visa, Master Card, and American Express. Is it a common practice to give tips in Morocco? Many people in the tourism sector depend on tips, as a major part of their income. Therefore, tipping is considered customary in Morocco. You are not obliged to give tips, but it would be great if you are willing to offer it. Are your tours really for individuals, families, small groups of friends? Yes. Our tours are for single travelers, couples, families, and groups of friends, whom we put together with other travelers to form a larger group for a tour. How many people are normally on a tour? We can never tell exactly (neither guarantee) how many people will be on the specific route. Normally, it is about 10-20 persons in a group. In some cases, it could be more, in other days you travel with just a few more people or even by your party only. In summer (high season) groups tend to be larger, and smaller in winter. Number of travelers might change on different sections of the route. For example, if you are on a 10 day trip, there could be other travelers who are on a 5 day trip, so they will split after. Is there is a guide in the bus? Sure. A tour leader will be accompanying a group during the whole trip, except for places when just a very few people are signed up. Small groups will be traveling with an experienced English speaking driver-guide. For the city tours, we use local professional and licensed guides. In what languages guides explain? In English and Spanish, all our tour guides speak both languages fluently. If happens that there are only English speaking clients are on a bus, the tour will be run in English only. When during the year do you run your tours? Most of our tours are running all year long. Some (to northern parts of Spain, for example) – are only running from March till October. In any case, under each tour’s description it says exactly when it runs. Example: ‘’Sundays all year’’ - means that on every single Sunday of the year the tour will start, no matter how many people signed up, even if it’s you only. What cities tours start from? 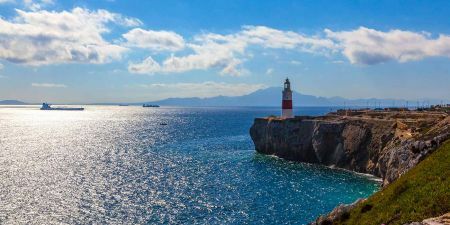 Tours starts from Madrid and Barcelona (also mentioned in the description of each specific tour – where it starts).The first four tours on the list start from Barcelona, the rest start from Madrid. What are the meeting points for the tours? Do you pick up from the hotels on the first day of the tour? By default, not. We do not pick up from the hotels, because that would delay the tour scientifically. Sometimes the groups get larger and to pick up everybody from their hotels would take us half of the day. However, if your hotel is on the way where the bus pases by on leaving day, we will pick you up. So, one week before travel, you are advised to give us your hotel name in Madrid so we can tell if you can be picked up directly from your hotel or if you must go to the nearest meeting point at 7.45am. In Barcelona, there is always a meeting point at the reception of ‘’Catalunya Barcelona 505’’ hotel. Buses for larger groups and minibusses for smaller ones. Vehicles are modern and with air- conditioning. Meals, mainly lunch and dinner, are included where they are mentioned in the itinerary. Buffet Breakfasts are included every morning in all hotels you are staying in during your tour. I am a vegetarian or allergic to certain products, any problem? No problems at all. Just tell this to our tour leader and he’ll advise and help. On top, many dinners are buffet, so you can simply choose what you like. For allergic people, if in doubts, please remind your case to tour leader in the restaurants, or ask the staff about the content of the dishes. What time are you coming back to Madrid on the last day of travel? Can I book a flight on the same day, flying out of Spain? Normally we return to Madrid between 17.00 and 19.00 on the last day of excursion (depending on the specific tour). However, it is not recommended to book the flight out on this same evening/night, as traffic jams in Madrid or other possible delays may cause you being late for your flight. I need a night in the hotel or transfer from/to airport to be booked before or after the tour. Sure. Just let us know about it. Can I just show up for the trip without reservation and pay directly in the office, on the spot? Unfortunately, this can not be done. The tour needs to be booked in advance, as we need to make all the arrangements beforehand. Can I customize one of the tours for myself? No, as in each tour there are more people. However, if you are a group of 20+ persons, the route can be customized upon your request as the tour could be run privately for your group. Please ask us regarding conditions. How much should I pay and when? We require 50% in the moment of reservation, and 50% in no less than 2 weeks before the trip or you can pay total amount once. You should pay through our online secure payment link which will be sent to you by our sales person. 10% paid at the time of reservation is non-refundable. The other 90% are fully refundable Between 40 and 30 days before your arrival date, 25% of the entire tour price will be deducted. Between 29 and 15 days before your arrival date, a deduction of 50% of the entire tour price will be applied. Between 14 and 7 days before your arrival date, a deduction of 75% of the entire tour price will be applied. Between 7 and 1 days before your arrival date, 100% deduction of the entire tour price will be applied. Are the taxes included in your prices? VAT and Tourist Taxes are always included, except for Tourist Tax of Cataluña (region where Barcelona is located) that needs to be paid at the hotel. The amount is currently 1 euro per person and per night. Most of the multi day tours start and finish is in Madrid. But what are the options for a Day Tours and excursions in Madrid self, if we have few days in the Capital before or after multi day tour? We have numerous day tours around Madrid and to surroundings, if you have time before or after your multi-day tour. Please check our separate website for the options. If you start from Barcelona and have some free time there, please check this link. How do I know if I need a visa for Spain or Morocco? Please check the information on the official website of the Ministry of Foreign Affairs of Spain and the visa requirements for Morocco you can find here On all trips to Morocco you also need to make sure that your Schengen visa will allow you multiple entrances to European Union as you must enter Spain once again. I am ready to go ahead and book one of your tours, but I need Visa to enter Spain. Yes, we help our customers to get Visa, after a trip is confirmed and the deposit is paid. As we are a fully licensed tour operator in Spain, we write to Spanish Embassy/Consulate sealed and signed letter where we confirm that you booked and partly (or fully) paid a tour with us. Please note, that we do not guarantee the issue of visa, neither can influence the process, - the decision is always up to the Embassy, as they have their own rules and regulations for each country, - but we do everything that depends on us to help you. The currency of Morocco is The Moroccan Dirham (MAD). The currency for Morocco was issued by the Bank of Al-Maghrib which is Morocco’s central bank. Moroccans main languages are English and French, they also speak or understand some English. Fewer Moroccans can speak Italian, Spanish, and German. Entry visa with USD 27 per passport is available upon arrival in Morocco airports for specific nationalities. Tipping is considered customary in Morocco. However, You are not obliged to give tips. Morocco is famous for its geographical diversity from the beautiful beaches of Agadir to the Oukaimeden ski slopes. Morocco has a long strip of mountains when sky-viewed, which runs from East to West before embedding itself in the sand at Mauritania. The various types of habitat have caused the diversity of cultures which have enriched the Moroccan identity. The Royal Institute of the “Amazigh” Culture was set up on October 17th, 2001. 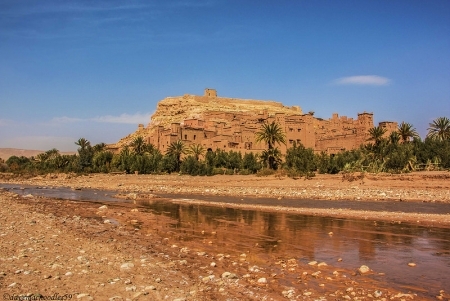 Since then, Berber was considered as an official language. Morocco has always encouraged a spirit of dialogue between religions for the promotion of progress and peace. Rabat, stretches serenely along the ocean’s edge. 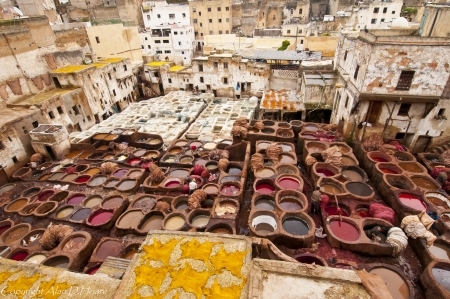 Fez, visit the Medina, the Tanners' Quarter, Zaouia Moulay Idriss II Shrine, and the Kairouine Mosque. Meknes, one of the most beautiful and powerful Imperial cities in Morocco. Marrakech, a pearl polished by history and its tradition of hospitality. Casablanca, home of thousand small crafts and trades and the showcase of Art Deco architecture.